2012 Aug 24-26 - Cedar Run Horse Park - Thornbury - The Cedar Run Horse Park was the location for the Rawhide Rodeo this past weekend. The RCMP Musical Ride was on hand and performed an incredible show. 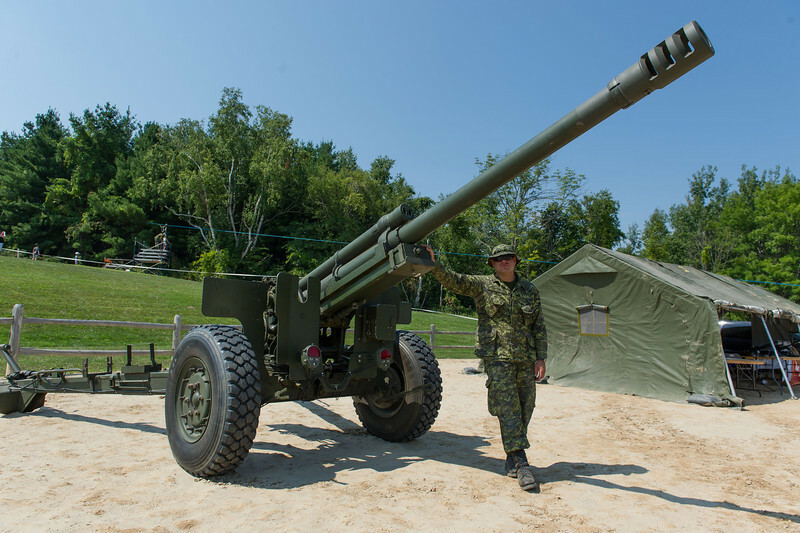 Members of the Canadian Armed Forces from the Land Force Central Area Training Centre in Meaford were deployed and showed off some manoeuvres as well as providing a zip-line ride for the kids and and an equipment display.